Things have been going awesome guys! We hit all our first three stretch goals. Now this is a *biiiig* stretch, but if we can hit $45k, we'll get back to 3x weekly updates. 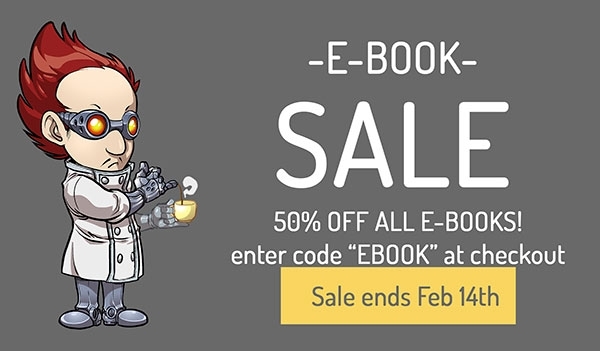 That's 50% more Spinnerette comics, for everyone! It'll take time to get there, we'll need to work it out with the artist, but I'm down for 50% more creating stories for you guys! Thanks so much gang, we've hit our funding target! Now on to the fun part, the stretch goals! 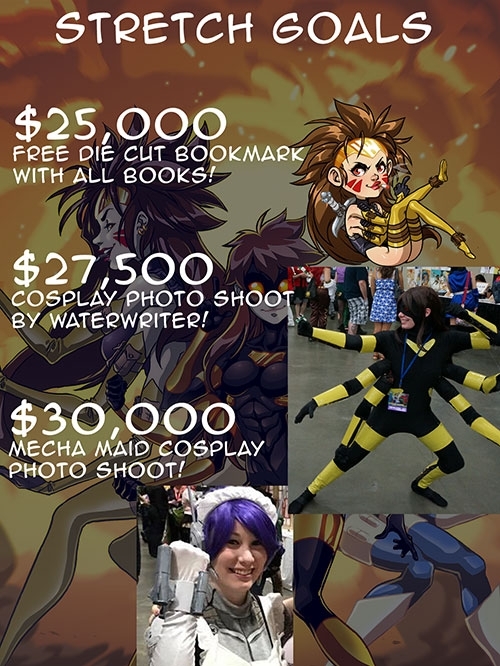 We're partnering with Number 1 Spinnerette fan Waterwriter to do some cosplay photo shoots! She's made Spinnerette costumes in the past, but this extra funding will cover a professional photo shoot, and upgraded costume pieces! Ever wanted to dance with a giant purple spider? Get your Mega Ms. Webby today on the Kickstarter! We're doing great guys! We just passed 67% funding! I also backed the Kickstarter for Patriotika 2! I ran into Ron Z at C2E2, and found we were both fans of each other's work! It's down to the last 3 days, so check it out quickly! Book 6 Kickstarter is LIVE! Kickstarter is LIVE, folks! Please czech it out! Hiveworks recently redid the backend of the website. If you have an issue with the navigation arrows not showing up, hold ctrl + f5 to reload the page. Howdy folks! We'll be posting Issue #2 of White Heron, starting on Monday the 19th! I'm really thrilled to get back to White Heron. It's been a long time in the works to get issue #2, but I hope you'll agree it was worth the wait.